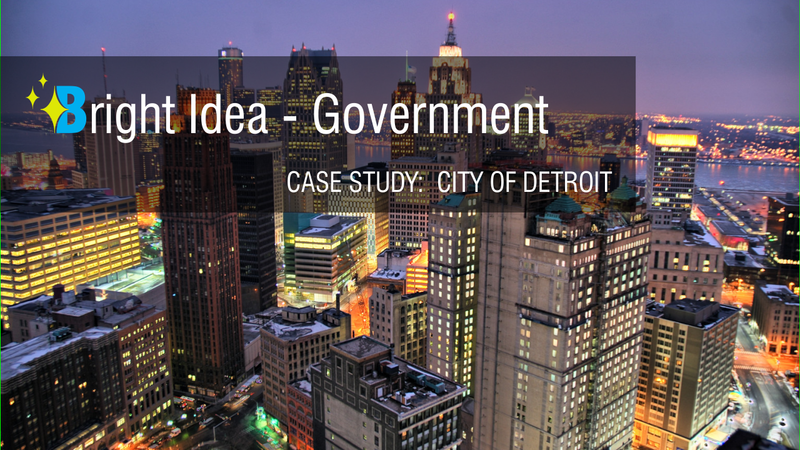 The City of Detroit is undertaking a comprehensive restoration of its street lighting system that includes transitioning the existing high-pressure sodium (HPS) sources to light-emitting diode (LED). Detroit’s well-publicized financial difficulties over the last several years have added many hurdles and constraints to this process. Strategies to overcome these issues have largely been successful, but have also brought a few mixed results. This document provides an objective review of the circumstances surrounding the system restoration, the processes undertaken and decisions made, and the results so far. While the lighting transition in Detroit is still ongoing, the new system has already vastly improved on the failed system that preceded it. According to publicized estimates at the time, only about half of the roughly 88,000 total installed units in the old system were in reliable operating condition. Such conditions make it difficult to establish a baseline for comparisons; for example, an overall (but factually inaccurate) assumption that all 88,000 lights were in operating order was necessary to produce postrestoration energy and cost savings estimates in this analysis. Allowing for this and other simplifying assumptions, Table ES.1 summarizes a few of the estimated benefits that can be expected from the street lighting transition once completed in 2016. This entry was posted in Parking and Roadways, Public & Government and tagged detroit, led lighting. Bookmark the permalink.